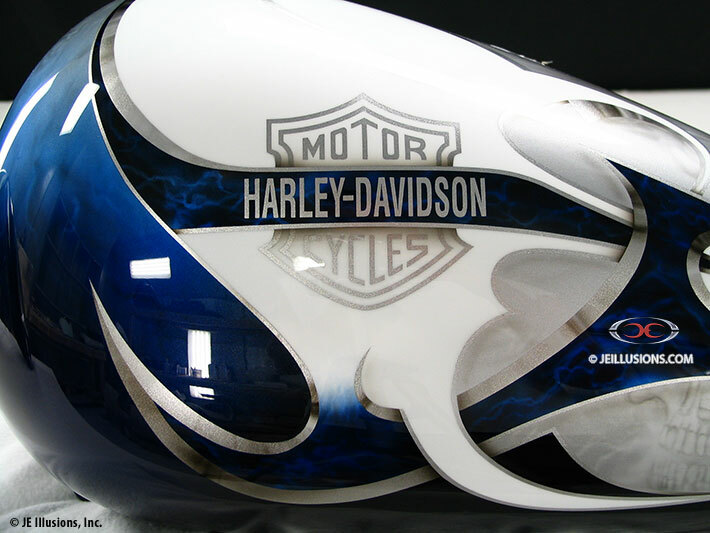 Airbrushed Blue electric smoke effects over Black, inside one of the blade designs that surrounds a high gloss Silver that swirls into Blue and White on the tank. There is also highlighted lightning effects that blend into skull heads located on the top of the tank. Another blade design of high gloss white weaves with the other blade design, merging together in the body front, highlighted with a nicely air brushed detailed skull headand other skull heads blending into a metal blade effect. 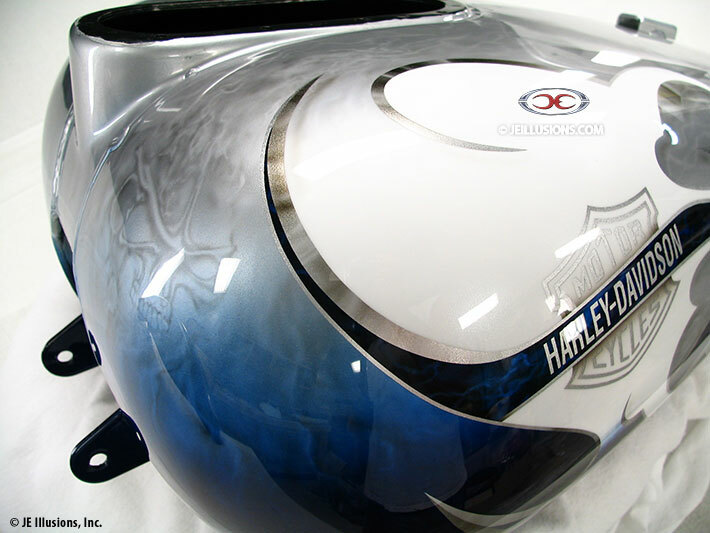 All this sits on top of a Jet Black under base, making for a striking effect all over on this paint job.